The field of big data keeps growing alongside modern technology. There’s a high demand for data scientists who know what they’re doing and love working in big data environments. But getting into this field requires extensive practice and a willingness to keep learning. Thankfully there are tons of books on big data that you can use to dive into this field. In a recent post I covered the best machine learning books which touches into big data. But for this post I’ll cover the top 10 best books for big data developers and data scientists of all skill levels. Many people want to study data science without getting too technical. If you have no prior knowledge and want to get started I’d recommend Data Smart by John Foreman. John’s writing style is very relaxed and the book totals over 400 pages with detailed explanations, exercises, and case studies for new data scientists breaking into the topic. Everyone has to start somewhere and Big Data Essentials is a great place to start. 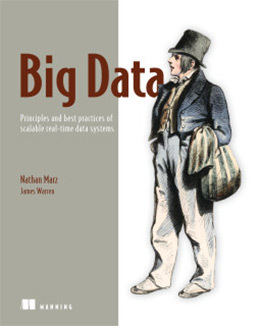 The book is very affordable and it covers the ideas of big data in only 220 pages. Whether you’re looking at data science as a career or just for something to do on the side, this book will get you caught up to the lingo and methodologies for big data analysis. The writing style is incredibly simple and each chapter reads like a research paper. You’ll learn about cloud computing, NoSQL databases, and distributed systems that share massive amounts of data. If you read through every chapter in this book you’ll walk away with a much deeper understanding of how big data operates in the real world. This is not strictly a practical book, although there are some step-by-step exercises littered throughout the text. But this is much more of a theory-based book and it’s perfect for anyone who wants to understand the concepts big data in the modern world. Here’s another fantastic intro book for data scientists who also have an interest in programming. 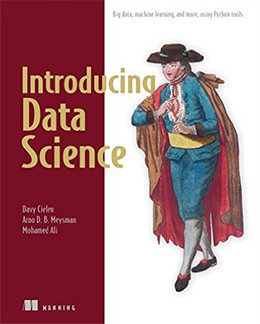 Introducing Data Science published by Manning is a very high-quality book just like most of their other titles. Over 320 pages you’ll work with Python to study big data through 3rd party libraries and custom scripts. The authors teach big data from a practical perspective so you’ll walk away with a real understanding of how big data works and how data scientists operate. Different exercises cover different topics from machine learning to social media and big data analysis. This is a very practical book and it will teach you real workflows for a career in data science. However you must have some experience with Python before picking up this book. Many big data libraries run over the most popular languages and Python is a great choice. But if you already have programming experience with another language you could try learning Python as you work through these lessons. I wouldn’t advise this strategy but it’s certainly possible if you’re dedicated. This is yet another incredible book from Manning that targets the bigger picture of big data structures. In Big Data you’ll learn about real-time applications and large database-driven applications like ecommerce shops. Each chapter goes into a different area from data modeling to storage and analysis. Many chapters also have detailed exercises working on top of big data frameworks like Hadoop, Apache Storm, Cassandra, and other NoSQL database engines. But you really don’t need to be an expert in any of these tools before picking up the book. 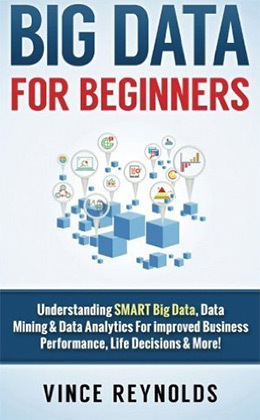 This is one of the more technical books that still targets beginners with little prior experience working in big data. The writing style is exquisite and the authors try to keep everything simple enough to understand regardless of background. However I’d be remiss to ignore the technical intricacies of each lesson. You can get by without much IT knowledge but it certainly helps if you have experience with NoSQL databases or Hadoop/Scala. Although this book does target beginners I’m surprised how much detail you get with each chapter. In 150 pages Big Data For Beginners explains the fundamentals of big data from a non-technical viewpoint. This book can be perfect for managers and salesmen who need to understand big data in an enterprise corporation without getting into the nitty-gritty details. But it’s also a nice book for aspiring data scientists who just have no idea where to start with big data. There aren’t very many examples or details in each chapter so you’ll be left wanting more. However for a basic introduction I’m pretty happy with this book and what it offers. If you’re looking for an intro book with a little more “kick” I’d probably recommend Introducing Data Science over this one. With larger datasets it’s easier to use visualization tools to spot trends and to showcase these ideas graphically. But with so many tools where do you get started? 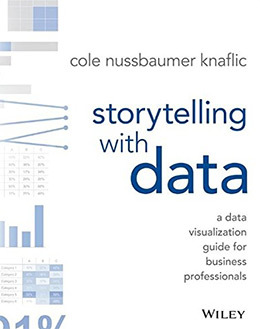 Storytelling with Data is a 288 page book full of big data resources for visualization and communication. You’ll learn how to interpret large datasets and how to render them into presentations that make the data easy to consume. You’ll learn all the factors that go into storytelling from knowing your audience, understanding the context of your data, and learning to pick the best graphical representations based on what you’re showing. Data science is just as much about math as it is about presentation and communication. If you hope to get into data science or if you want to improve your current job in big data then this book is a must read item. It talks about all the visual components that you rarely think about when first getting started. You’ll get examples and helpful tips to guide you from a big data novice to a much more competent data scientist. 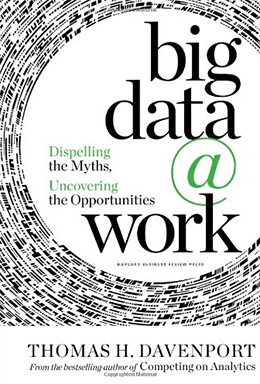 If you have no idea what big data is or why it can affect your business then Big Data at Work is the very first book you should read. It’s written by skilled data analyst Tom Davenport covering 228 pages all about big data in the modern world. You’ll learn where big data came from and why it’s important in modern times. You’ll also learn how big data connects to real metrics like sales, conversions, and technical support for customers. By studying the data you can pinpoint opportunities and potential holes in your business plan. 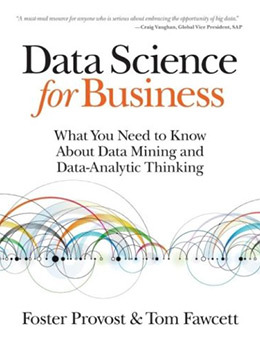 This book merges big data technology with the business/management side of doing business. The writing style is very colloquial so it speaks to a wide audience of business owners and data scientists. Plus the author uses real examples from big corporations like UPS, GE, and Citigroup. No matter what you sell or what type of clientel you service, this book is an immaculate introduction to big data for the real world. This book is very similar to the previous one except it’s much longer and much more technical. Data Science for Business teaches how big data can be used for tracking metrics and improving certain KPIs regardless of the business objectives. The authors really make you think about data science from a practical point of view. You’ll learn about data mining fundamentals and the tools you can use to improve your data mining process. You’ll also learn how to approach business problems scientifically using data to back up your solutions. Whether this is for your own business or for someone else’s business the tools and techniques in this book work just the same. If you’re looking for a job as a data scientist this book also has tips for the interview and sample questions you might be asked by an employer. With 400+ pages of data science techniques this is one of the best intro books for learning data science and applying it to business ventures. Many companies use data science to plan for the future and map potential trends. This can apply to any metric imaginable, however it’s such a vague concept that it’s tough getting started. Data Smart is a 430 page introductory book written by data scientist John Foreman. He writes in a very natural style that appeals to anyone from marketing to sales or higher-ups in an organization. In this book you’ll work with data in spreadsheets and learn how to organize, sort patterns, filter big batches of data & analyze that data for problems or common occurrences. From here you’ll learn how to think critically about such data. What does it mean? How can you use data to improve certain metrics? Granted business metrics aren’t everything. But most data points rely on metrics and they’re the best points at your disposal for data scientists to do their work. This book is a lengthy read but it’s one of the best books for diving into practical data science. It doesn’t matter what your industry is or what your goals are. This book will help you understand big data and data science from the ground up. Case studies can be just as helpful as personal experiences because they help you understand through second-hand stories. 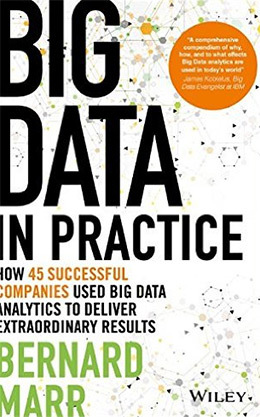 With the book Big Data in Practice you get 45 unique case studies from corporations and smaller data scientists working in big data platforms. You’ll learn all sorts of handy techniques from major companies like Walmart, Apple, Microsoft, and other big names in the fashion/entertainment industry. Big data is permeating the globe and offering solutions that have never been possible with this much detail. Unfortunately this book is not a practical exercise-driven book. You won’t learn how to build anything yourself and you won’t learn any specific big data tools. But you will learn a lot of handy tips, workflows, and suggestions from expert data scientists and big brands all over the world. You’ll learn how big data is used in corporations and how you can employ similar techniques in your own work. This is a very fun book and it’s a surprisingly quick read. But I think it pairs even better with a practical book like Big Data. If you’re looking for methods to increase profits and find underperforming areas in your business then this book is for you. 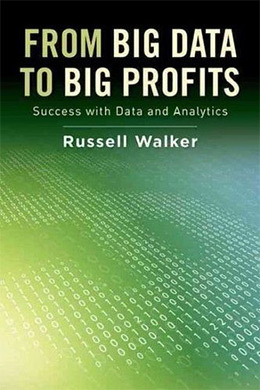 From Big Data to Big Profits offers 312 pages of case studies from big brands like Zillow, Google, and Netflix, all of which employ big data analytics for improving profits. This book teaches you how to follow similar techniques for your own company or for any company you work for in the future. Aspiring data scientists will go nutty over these case studies. They’re incredibly detailed and they offer real-world solutions for improving profits from data analysis. The goal here isn’t to just become a better data scientist, or to use better visualization tools, or to find patterns more easily. The goal is to improve profits by studying the right metrics and looking for patterns that can inspire conscious action. Overall really great book and it’s one hell of a read. Anyone that’s even remotely curious about big data or data science will want a copy of this book. There is no single correct way to get into big data. People analyze data for different reasons and come to different conclusions. But just getting started is always the toughest part. 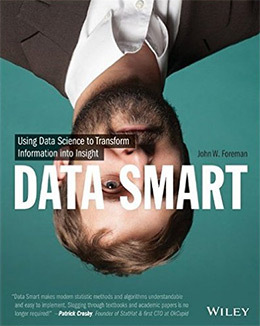 If you’re brand new to the subject of data science try starting with Data Smart by John Foreman. 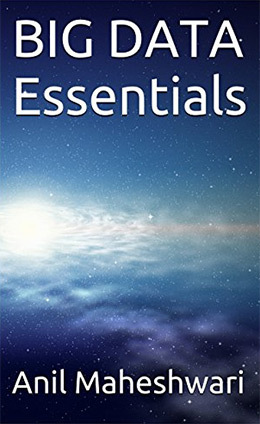 It’s a practical guide with a simple writing style that’s very easy to consume. Or if you want something more technical check out Manning’s Big Data book.